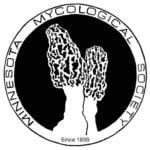 MMS Annual Mushroom Cooking Demo – members only! THIS EVENT IS NOW FULL AS OF 2/17/19. If you have any questions, please contact Peter Martignacco. 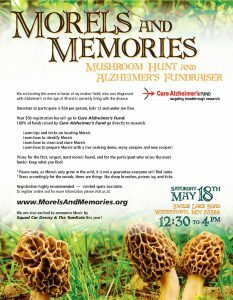 This event is free to MEMBERS ONLY with a reservation, but due to space constraints, is capped at 100 participants. Chef demo at Sweet Chow featuring Chef Jessi Peine, whose résumé includes stints at Hautedish, Alma, Fuji Ya, In Season and Birdie. 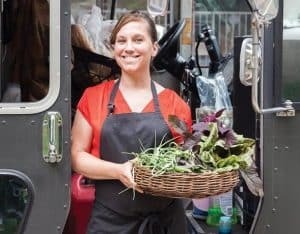 Chef Jessi Peine and her husband Charlie Johnson also own and operate Peeps Hot Box, a food truck and catering company. Chef Jessi Peine is a mushroom enthusiast and will make 2-3 dishes for sampling. 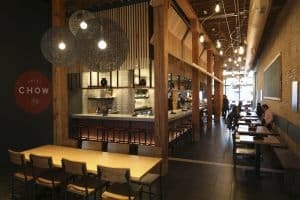 The restaurant will be open to the public that night, so if you want to arrive early to order a dinner or something from the bar, it is highly encouraged. There is on-street, metered parking or a couple of pay lots in the vicinity. If you zoom-in on the map on their website, you’ll see parking ramps displayed. if you RSVP and cannot attend please make sure to email Peter to release your spot.